This Konduz Rug is hand knotted in Northern Afghanistan in and around the town of Kunduz, one of the principal marketing centres in the North. Konduz carpets are woven by several different people producing various designs including traditional ‘gul or fil-pai and the star of Solomon. 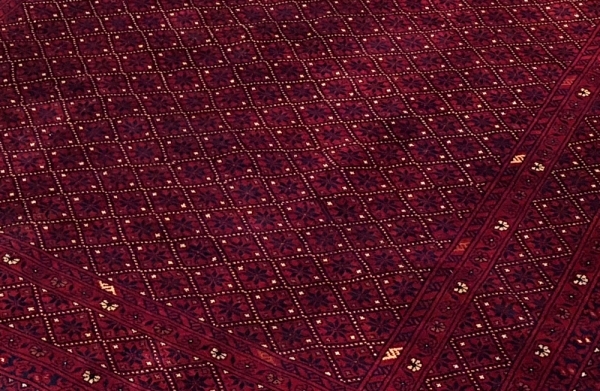 They are generally woven using Afghan Karaqul wool in an assortment of warm and deep reds and maroons. 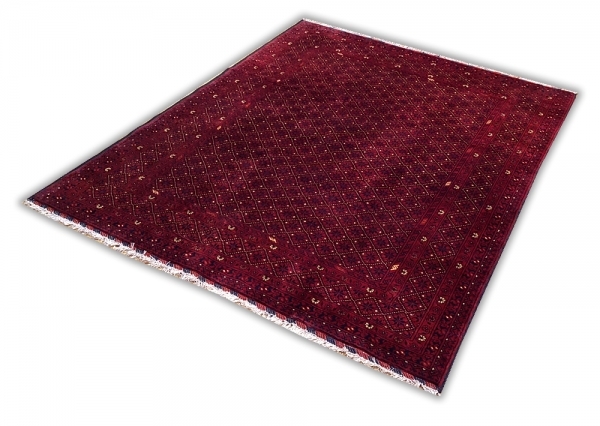 Hand knotted, Wool pile woven on wool weft and warp, Vegetable dyes, Perfect condition.